Maggie Carswell ’17 was introduced to Saint Mary’s by her mother, an alumna. Drawn to the exceptional nursing program, Maggie, a native of Delmar, NY committed to Saint Mary’s after she received her acceptance letter and a personalized video. Maggie felt her vocation to be a nurse when her twin sister Megan was hospitalized for a spinal tumor. One of her favorite things about nursing is that the simplest things make the biggest difference. Her faith also inspires her to care for her patients and Catholic Social Teaching informs her approach. 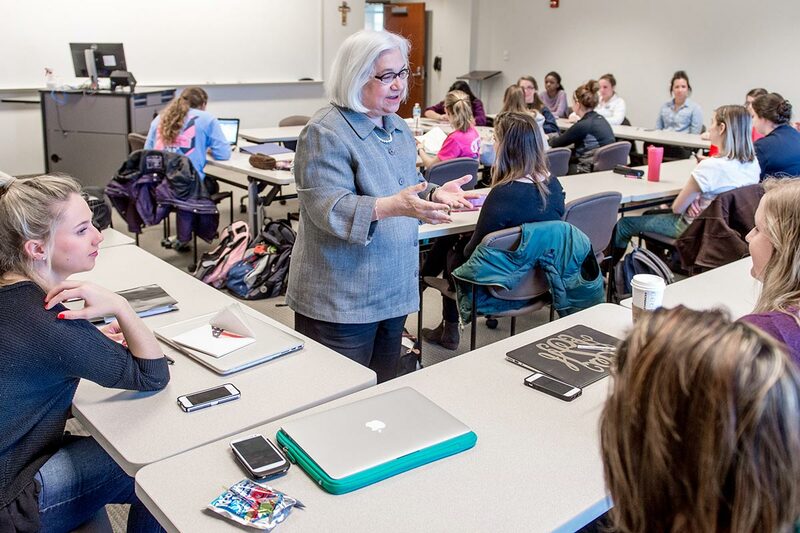 A student member of the Board of Trustees, the College’s governing body, and a student director in the Office of Civic and Social Engagement (OCSE), Maggie loves being part of the Saint Mary’s community. Maggie is discerning graduate school for nursing and a calling to leadership. She credits her success to her twin, who is also a nursing major, and the faculty.